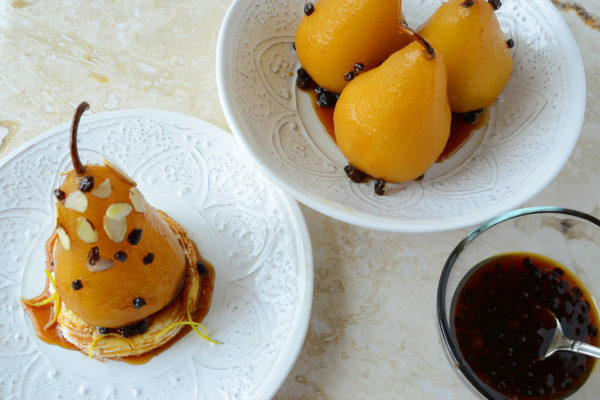 Poached pears are an easy dessert to prepare. They can also be made ahead of time, freeing up more time for you to prepare that scrumptious dinner. I find it’s always a good idea to serve a fruit dessert if the entree you’re serving is on the heavy side. You can also forego the ricotta cream and serve the pears with vanilla ice cream instead. PREPARE THE PEARS: Peel the pears, being careful to leave the stem intact. Remove the blossom end with a paring knife. 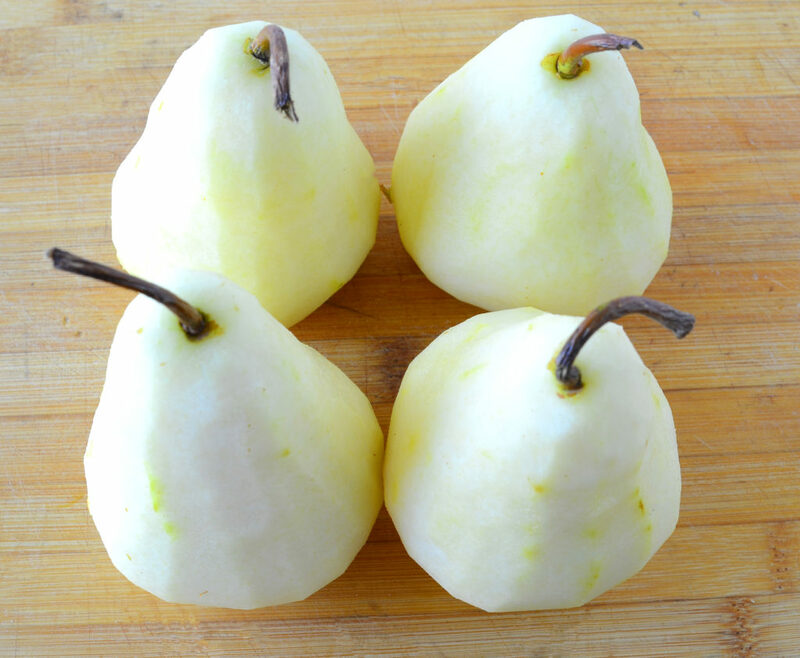 If necessary, trim the bottom of the pears so that they stand upright. 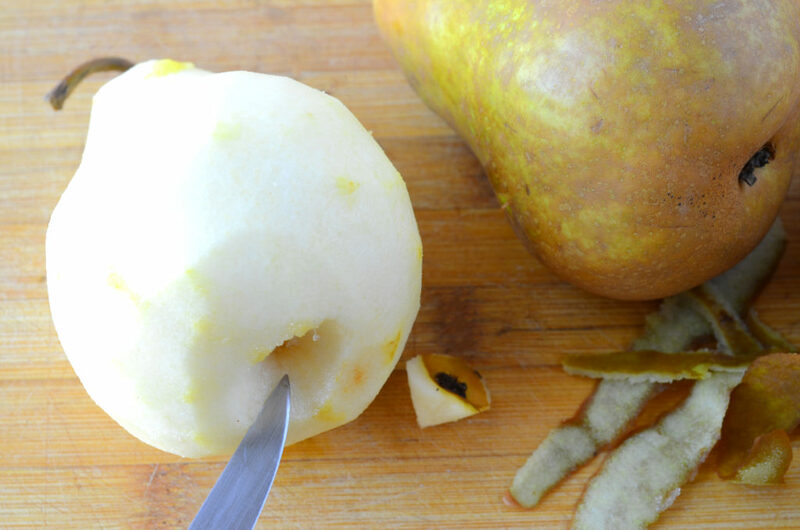 COOK THE PEARS: Using a vegetable peeler, remove the zest of the orange. 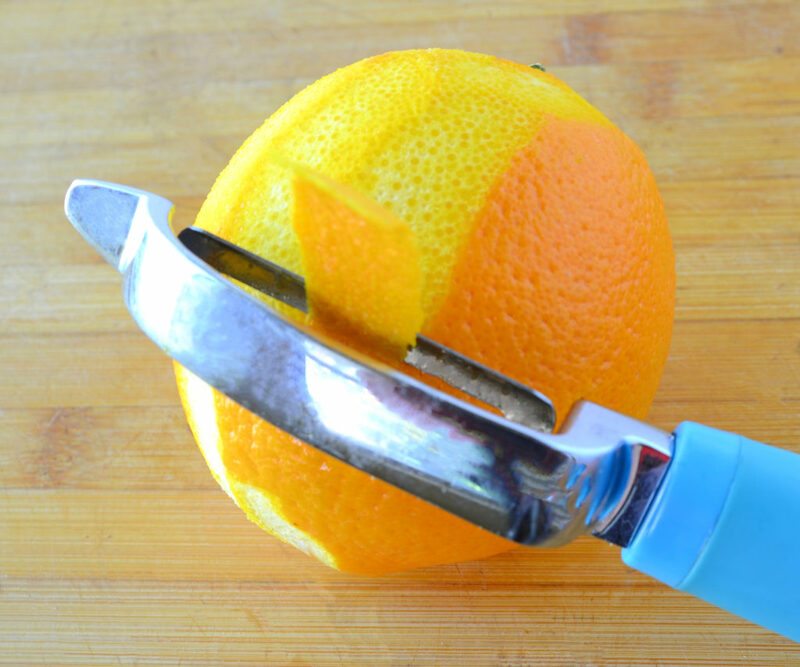 Squeeze the juice of the orange into a 3-quart saucepan. 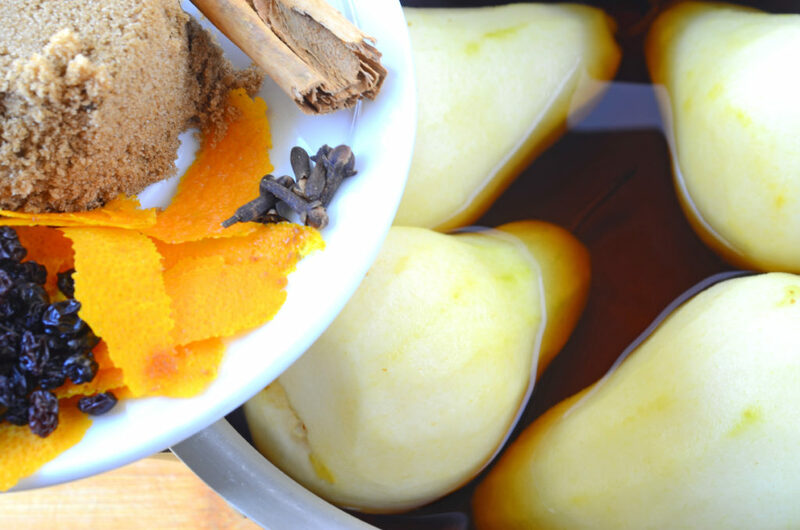 Place the Marsala, pears, sugar, orange peels, vanilla, currants, cinnamon, and cloves into the saucepan. Bring to a boil over medium-high heat. Reduce heat to medium and cook, occasionally stirring gently, until the pears are tender when pierced with a fork, about 35 to 40 minutes. Using a slotted spoon, transfer the pears to a medium bowl. Let cool. 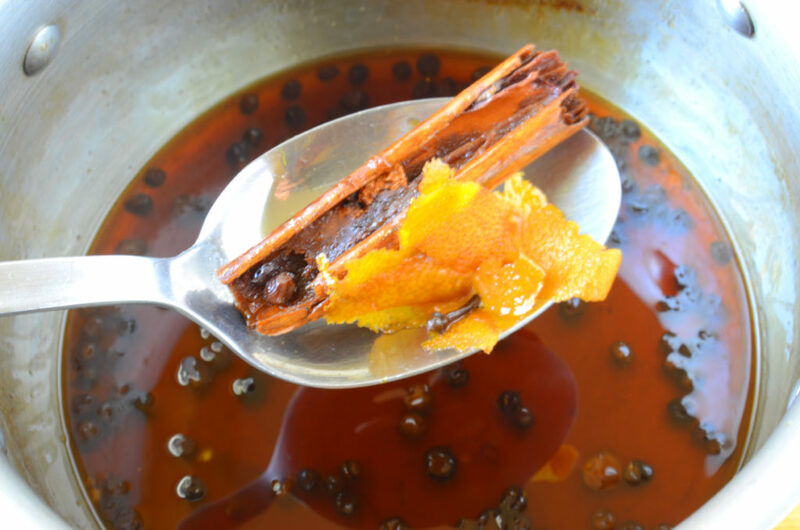 MAKE THE SYRUP: Using a slotted spoon, remove the orange peel, vanilla bean, cinnamon, and cloves. Continue cooking the Marsala until the liquid becomes syrupy and coats the back of a spoon, or is reduced to 3/4 cup, about 15 to 20 minutes. Pour the syrup over the pears. Let cool. Cover tightly with plastic wrap until ready to serve. 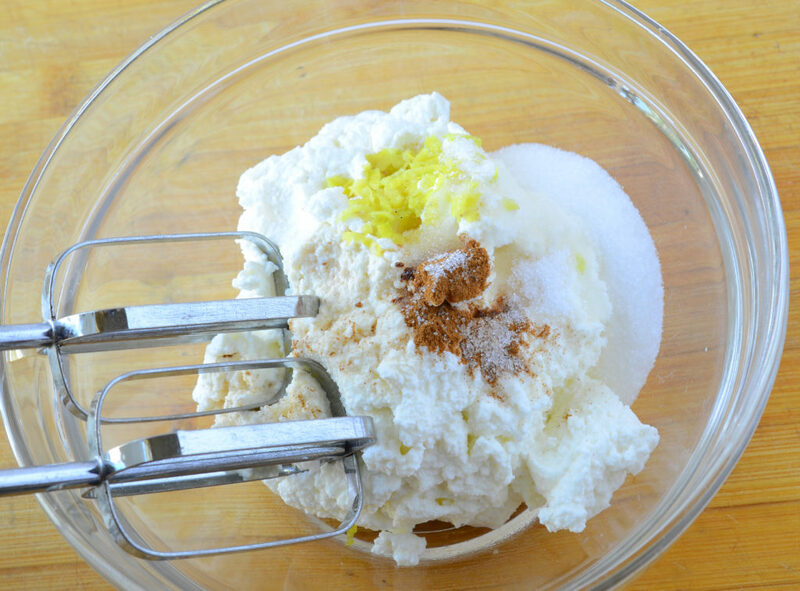 MAKE THE RICOTTA CREAM: Place all the ingredients in a small bowl and beat on low speed with a mixer until smooth. The cream can be made a day ahead. 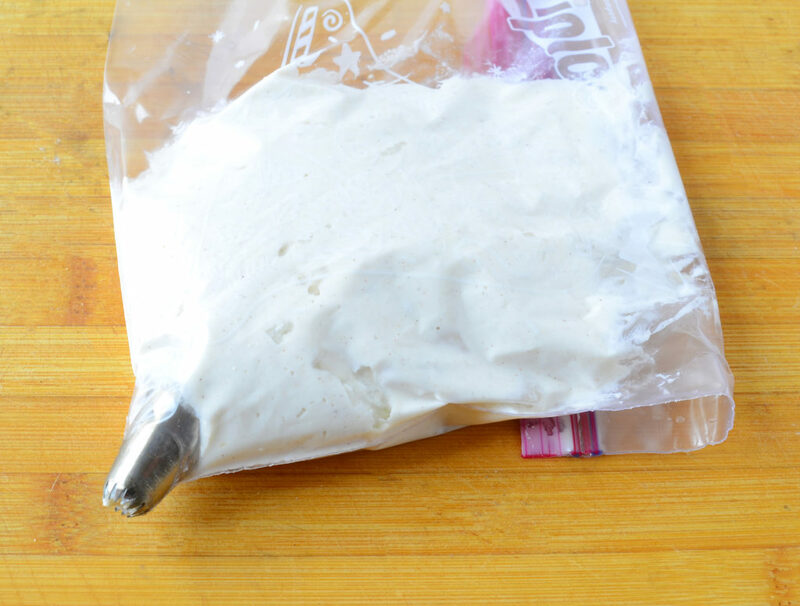 To store, place in an air-tight container and refrigerate until ready to use. ASSEMBLE THE PEARS: When ready to serve, put the ricotta into a small pastry bag, or a small freezer bag, with the end tip cut off, fitted with a large star tip. 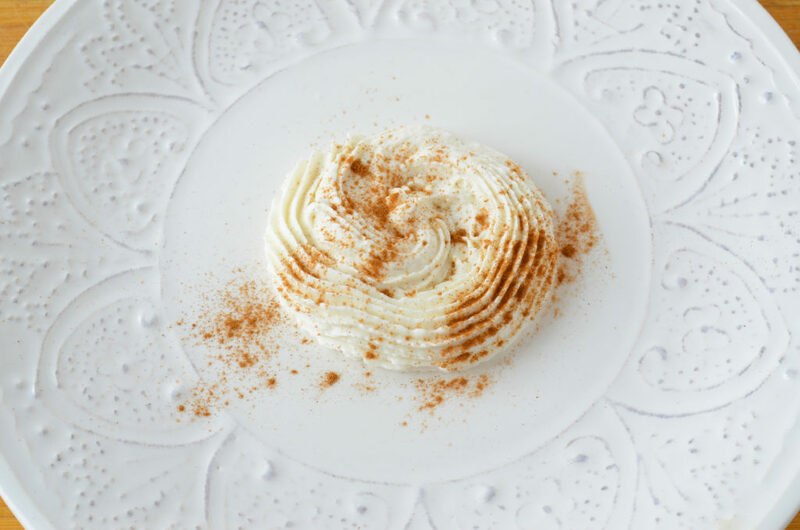 Pipe the ricotta onto each serving plate, and lightly dust with cinnamon. Arrange a pear on top of the cream and drizzle with the syrup. Decorate with sliced almonds.